These groups undertake friendly, sociable walks across Charnwood. They are up to around an hour in length and free to attend. 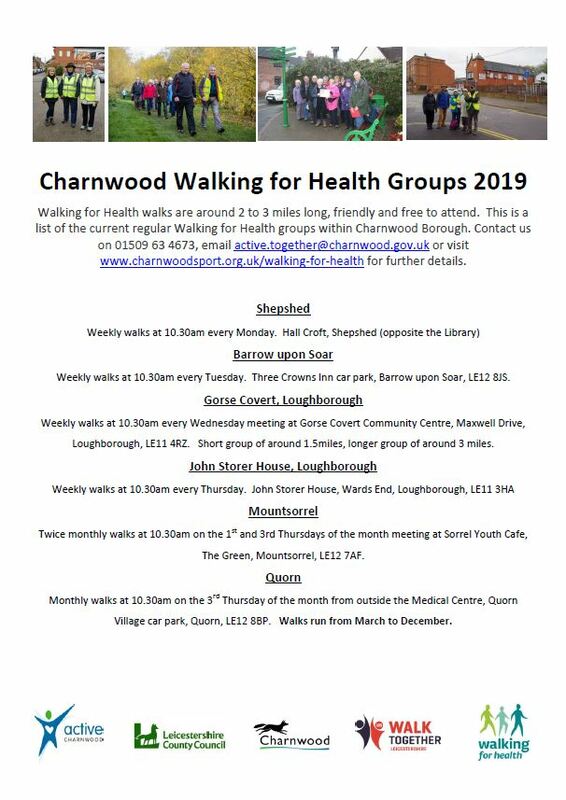 The walks are run under the Walking for Health scheme and led by friendly volunteer walk leaders. Please come along, make yourself known and take part, no need to pre-book. You're welcome to stop after the walk for a drink and chat. Once a month at 10.30am on the third Thursday of the month. From March to December.